I have extremely sensitive skin. One of the ways that has helped is to use only natural laundry ingredients. Removing the chemicals from our laundry has made a huge difference. 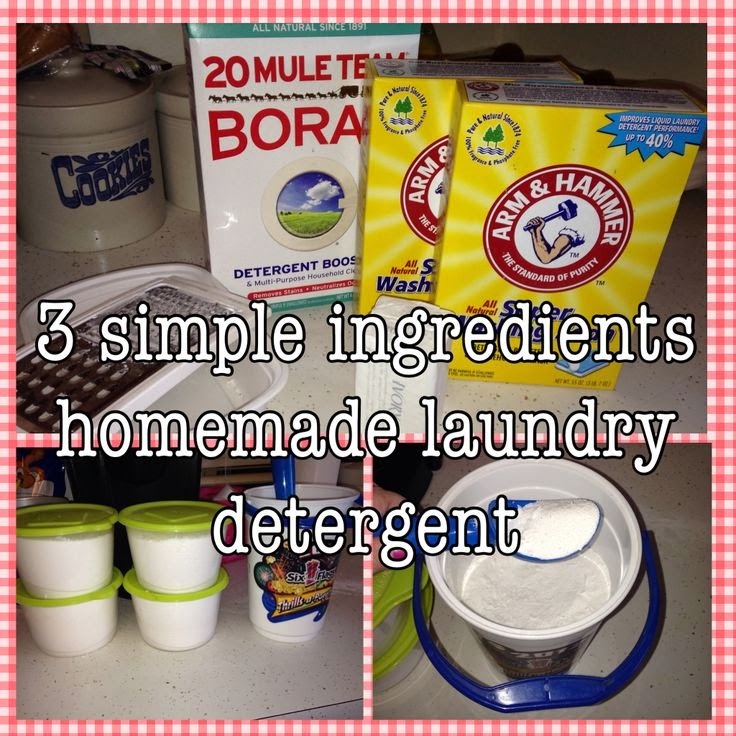 Using these three products I have been able to keep my laundry clean and chemical free. My daughter also uses only these natural recipes. She has three children, one large Lab, messy hubby and she lives on a farm. These products keep her laundry clean. One thing she also does is she vents her dryer back into her home. A great way to reuse your dryer heat. Mix all ingredients into a large container - mix well. Use one ice cream scoop per load. Mix about 2 tablespoons of Apple Cider Vinegar to a cup of water - I add about 2 oz of the mixture to my rinse cycle. I also make a patch and place into a reused spray bottle. I use the mixture to spray on t-shirt rags that I made to use as dryer sheets. Don't worry about your clothes smelling like vinegar - the smell will fad when clothes are dry. I always use Organic Wool Dryer Balls in my dryer. They reduce dryer time by 1/4 and also the wool fibers soften our clothes. Do you have a Green Laundry secret? I have never heard of natural fabric softener. I usually don';t use any and let my dryer sheets do that work for me. That's so cool! Laundry detergent is so expensive, and it can be too strong. This is great! This is definitely a frugal option & a great way to save money! So happy to see that sweat stain tip. I totally ruined a favorite shirt last summer when it was hot out. Wish I knew your tip then. This is great! I use a lot of vinegar and baking soda in my cleaning. I love making my own laundry soap, it's so easy and SO cheap! Green cleaning is the way to go! I didn't know apple cider vinegar could be used that way it's just such a strong smell I would be afraid it would stay on the clothes, good to know it fades! I can't wait to give this a try. It sounds like it would work well, and it's so much cheaper that the name brand stuff! Thanks so much for sharing. 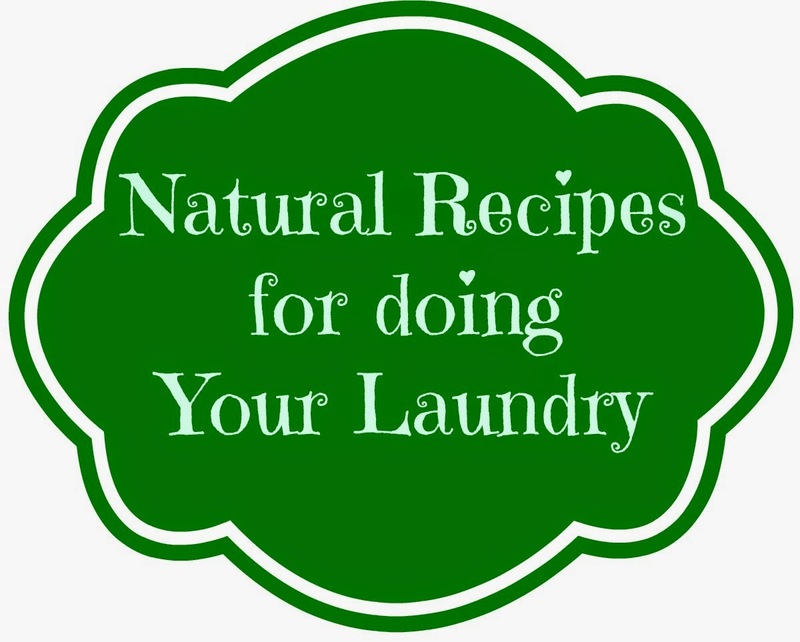 I've been wanting to find a natural recipe for doing laundry for some time. I'm going to try this for sure. These all sound like great options. I have really bad allergies so they would be great for me. I have to be careful what laundry detergent I use (I have contact dermatitis) and making it yourself is a great option! I didn't know about the aspirin paste for sweat stains! Thanks for the info! No, I wish we did. We use the detergents that don't have scents or fillers, but that is about it. Hubby has sensitive skin so we have to be careful. I've grated some Fels Naptha into my laundry before for a little extra whitening. I'll have to try the dryer balls, I've always wanted to. I never knew there was a way to have natural fabric softener. I'm always impressed with people who make all their own products! I need to try the armpit stain tip! I use baking soda in my laundry often. These are great ideas! Any way to minimize chemicals in our lives is always good in my book! We recently started using Woolzies and love them! We used to have a real clothesline behind our house. It was built when our house was. It rusted away but I miss drying our clothes on it. I have never thought to make homemade laundry products. This is very cool. I have always been curious about the Woolzies. Might have to give them a try! Wool dryer balls are the best! I started using them about a year ago and now I have them floating around in every basket. These are such great ideas! I need to try these out. I always encourage green ideas in my household. I have always wanted to make my own detergent. I already use dryer balls and they are a miracle product. 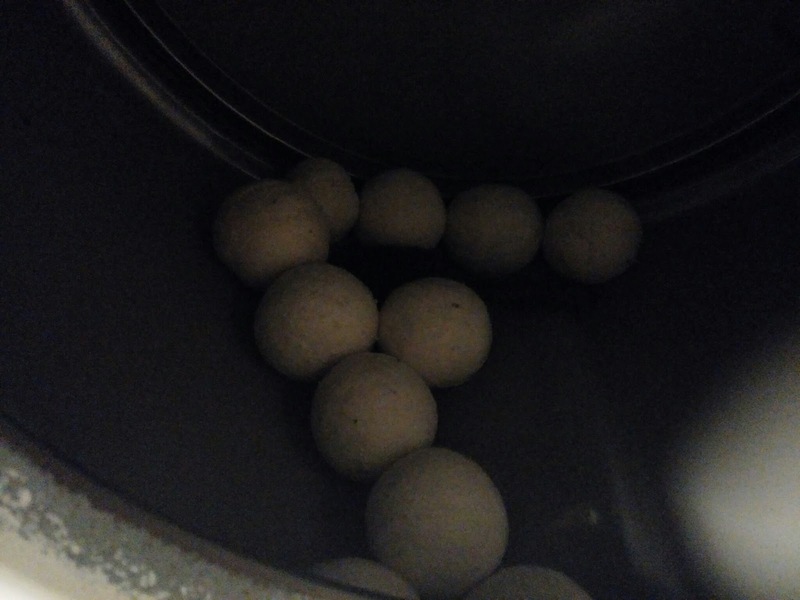 I use wool balls in my dryer for the few loads I dry. I've been using vinegar, but I like the thought of using lemon juice. I love wool dryer balls! They are amazing! I haven't ever made homemade laundry detergent but I should give it a try! We go through a ton! I've tried those balls before. My mother-in-law has too and she uses hers all of the time! Woolzies work really great! And they last a long time, too. These are some great ideas for stain removal. Thanks so much for sharing! I would like to try the lemon juice trick myself. Thank you for telling me about it! I really need to green up my laundry. I want to keep reducing the chemicals in our house. I do line dry a lot of our clothing. I feel like it makes things last longer. I would love to try some homemade detergent. I try to make a lot of our cleaners homemade too. We wash in cold whenever we can as well to save a little money. I just love Borax. Good ingredient or on it's own. These are great ideas for making your own. That laundry detergent sounds definitely easy enough. And a lot cheaper than the store bought, too. I would love to try my own laundry detergent. I heard you can save tons of money! I love making my own detergent and softener. It saves me so much money and my clothes smell great and are even cleaner. I'm going to have to try a few of these. Off to get some borax! Ohhh I am going to have to try the apple cider vinegar. I use it for so many other things but never thought about using it in the laundry. I have just gotten into researching natural laundry cleaner. Thank you for sharing. Great recipes! Thanks- I was just looking to make my own laundry soap. Awesome! I've been saving up leftover wool yarn to make some yarn balls. Excited to give that a try! I have never tried this but it looks really interesting. I have always wanted to make my own detergent. Thanks for the recipe. Oooh I need to try these dryer balls! Dryer sheets are so irritating to my sensitive skin. I must try my hand at those DIY dryer balls! Too cool! I've been using essential oils a lot more for diy cleaning products. I'll have to try your method out! I've never made homemade laundry products before. These sound super easy to make and are really cool! Thanks for sharing.